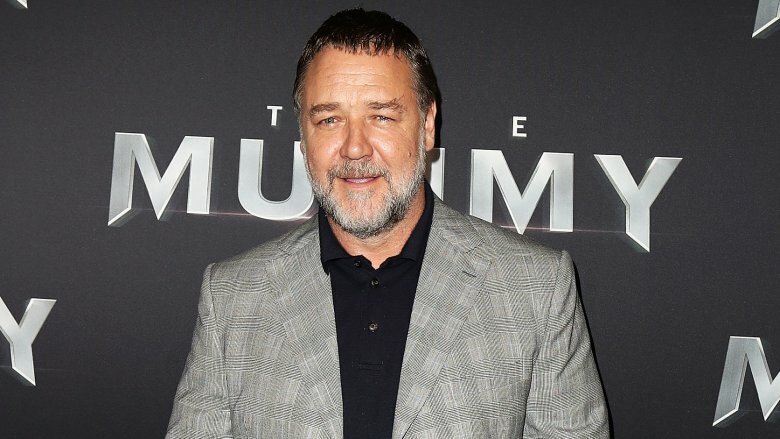 In the early 2000s, Russell Crowe was indisputably one of the biggest names in Hollywood. He got his start on TV back home in his native Australia, first appearing as Kenny Larkin in a few episodes of the popular soap opera Neighbours. In 1990, he landed his first film roles in Prisoners of the Sun and The Crossing. But it wasn't until starring as Maximus Decimus Meridius in the film Gladiator that he really made his mark stateside. After his performance in Gladiator earned him an Academy Award for Best Actor, he went on to appear in other critically acclaimed films like A Beautiful Mind and Cinderella Man. But recently, it seems like Crowe has dropped off the map, and he's simply not acting as much these days. Here's why you haven't seen him on the big screen, and why he probably won't get back to his former status as one of Hollywood's most popular actors. Although Crowe's name isn't in the tabloids quite as often anymore, his reputation still precedes him. Unfortunately, he's known as much for his volatile temper as he is for his acting skills. Back in 2005, Crowe became the center of attention (in the worst way) when he threw a phone at an employee of the Mercer Hotel in New York City. Apparently, he got angry when he found out that the phone was broken, and that's what sparked the incident. Of course, his own rep claims that Crowe actually threw the phone at a wall, not an employee, and that he did not physically hurt anyone. However, law enforcement did not take Crowe's side, and he was hit with charges for felony assault and 4th degree criminal possession of a weapon. He was also sued for personal damages. It's the kind of massive screw-up that's hard for an actor to truly put behind them. Crowe refers to it as "the most shameful situation I've ever gotten myself in." 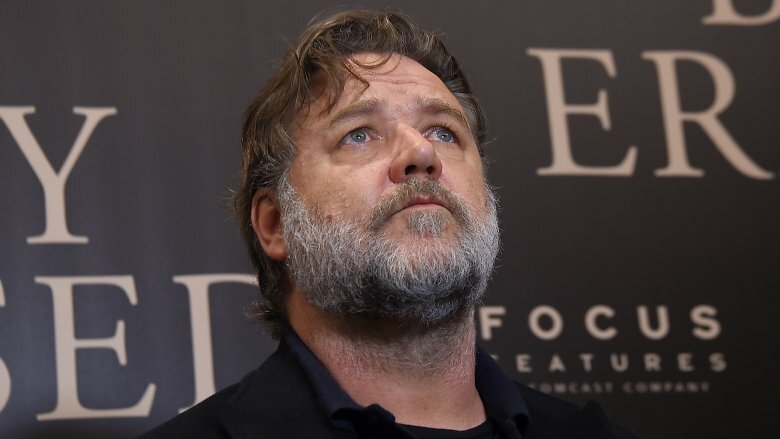 Perhaps all of the negative media coverage that Crowe received after that fateful moment when he decided to throw a phone taught him an important message about the serious pitfalls of fame: nothing is totally private, and your mistakes will almost always follow you in one way or another. Although Crowe says that he has personally moved past the incident, he acknowledges that the rest of the industry (and the general public) never really did. In his own opinion, he thinks they made it into a bigger deal than it needed to be. In an interview with Charlie Rose in 2010, Crowe was asked about the issue, and he said, "I think it indelibly changed me… Very definitely, it affected me, it's affected me psychologically." It seems like it's a stain on his past that he's never going to completely escape. 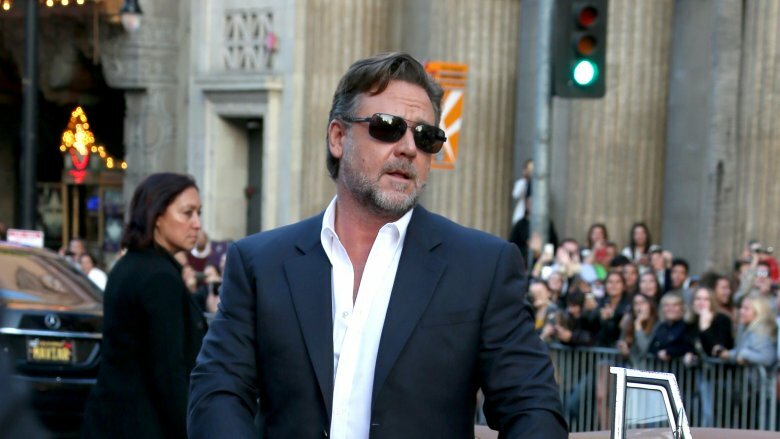 Unfortunately, Crowe is one of those celebs who will always have his name attached to a scandal. Unfortunately for Crowe's career prospects, his bankability has been in decline for several years now. No matter how talented an actor is, studios want to work with talent who can bring in the big bucks, and nowadays, they can do better than Crowe. He appeared in Man of Steel in 2013, which earned more than any other film he's been in, but that was a while ago. None of his films have topped it since. Crowe's name just doesn't have the same pull that it once did. Maybe it's the scandals that have turned off some of his formerly devout fans. Maybe he hasn't been choosing to work on the kind of films that would bring in serious profits. However, he's clearly proven that he can take a great script and turn it into an exceptionally memorable performance, and this downward trend doesn't have to be inherently permanent. Perhaps one day, he'll be able to work his way back up again. From day one, Crowe made a name for himself as an actor. For the first two decades of his career, he was solely focused on putting himself in front of the camera. But like many other exceptional actors who have worked in Hollywood for a long time, he eventually decided it was time to try his hand at something new. In 2014, Crowe made his feature-length directorial debut with the film The Water Diviner. The same year, he also directed the short film Remedy. Crowe had already worked as a producer on the television series Damage Control back in 2010, but in 2015, he decided to return to that role by serving as an executive producer on Fathers & Daughters. Although it has been a few years since he worked behind the camera, he could choose to pursue this path further. 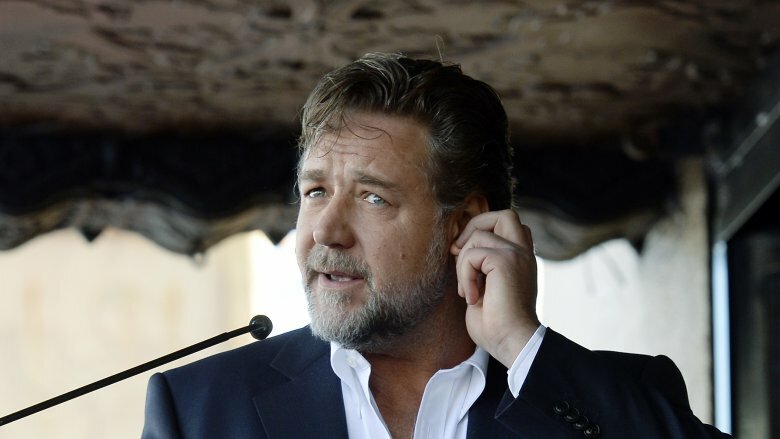 It may even be a good change of pace for Crowe — after getting so much bad publicity, working on films without being in the public eye might take some of the pressure off. For quite some time now, Crowe simply hasn't gotten much attention during awards season. While it's true that critical favorites aren't always hits with audiences, it seems that in Crowe's case, success with both crowds has been correlated, and as his box office standing has dipped, so has his critical reception. 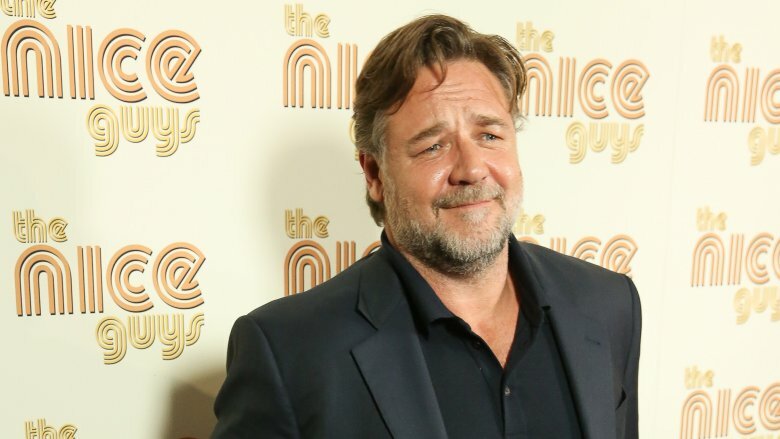 Over the course of his career, Crowe has received three Academy Award nominations (including his Best Actor win for Gladiator), but the last time he received this honor was back in 2002 for his role in A Beautiful Mind. His last Golden Globe nomination was in 2006 for starring in Cinderella Man. For the past ten years or so, Crowe's performances simply haven't curried favor during awards season. This might be primarily due to his choice in roles rather than his actual acting skills. But recently, he did earn an Australian Academy of Cinema and Television Arts Awards nomination for Best Supporting Actor in Boy Erased. In 2016, Crowe got into some sort of altercation with rapper Azealia Banks. 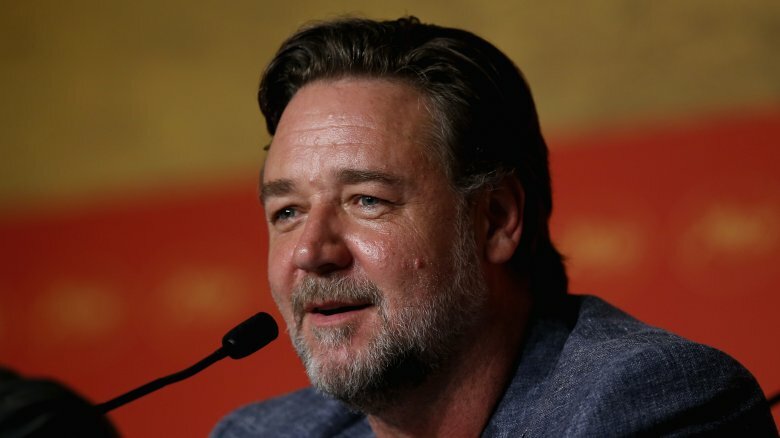 It's worth noting that Crowe was never actually charged with anything, and the allegations never really got anywhere, but it certainly did not help his reputation. Banks filed a police report after attending a party at Crowe's suite at a hotel in Beverly Hills. She claimed that Crowe physically assaulted her while using racial slurs, and then kicked her out of his room. However, witnesses who were also attending the party say otherwise. Other partygoers said that Banks was the one who was looking for trouble, and that her behavior was "erratic" all night. According to them, Crowe made Banks leave the party after she threatened him along with other party guests. Unless you were a fly on the wall, it's hard to know who was telling the truth, but Banks has also come under fire for her own outbursts, like getting into scuffles with bouncers and security guards. Either way, it didn't look good for Crowe in light of his previous track record. You might assume that being a wealthy, famous movie star means that you have plenty of freedom, but sometimes, that kind of status can actually keep you tied down. Want to keep getting those award-winning roles and huge salaries? Well, you had better keep hustling just as hard. 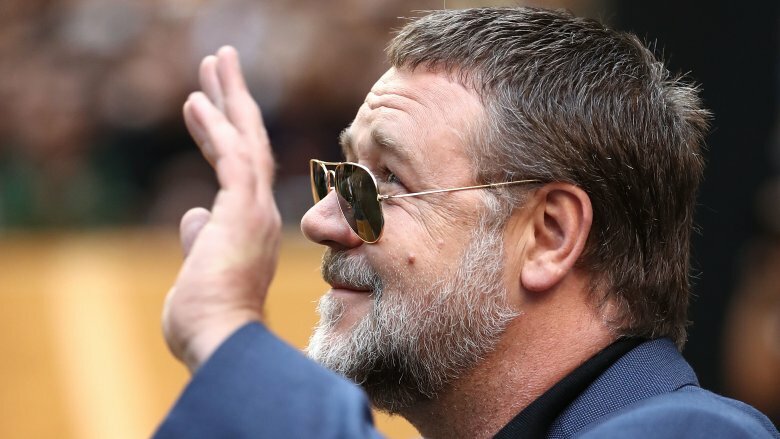 When Crowe returned to Australia to direct The Water Diviner, he realized that he didn't want to spend the rest of his life jet setting from movie set to movie set. In fact, he said that throughout his entire career, his primary objective was to make everyone back home proud. But now, he doesn't want to spend the majority of his time in L.A. — he wants to get back to his roots. 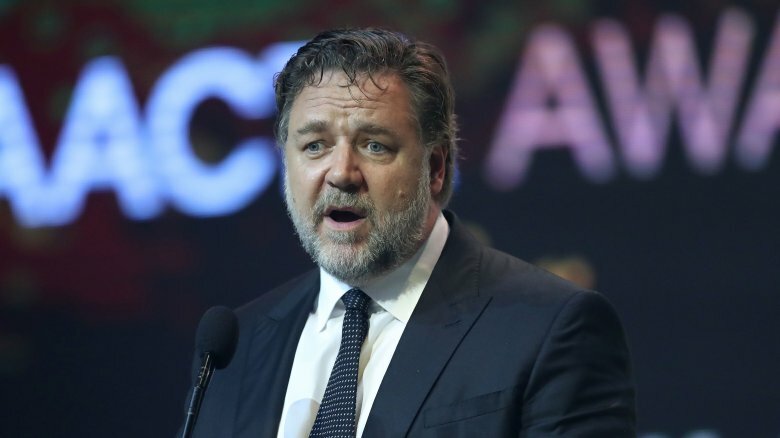 "Even through the largest periods of success in my life, my principle aim — when I finish the job — has always been to get home," Crowe told The Guardian. "To go to the bush and, more recently, to be with my kids." 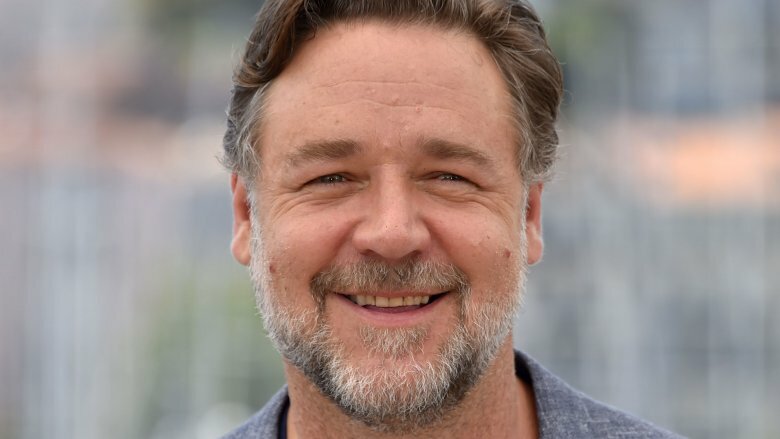 As actors get older and move further along in their careers, they tend to get more selective, and Crowe is no exception to this rule. He has always said that he will not take on a role for the sake of money or publicity. In fact, he specifically told The Guardian that he could never "fake sincerity," and he seems to be sticking to that promise. At this point in his career, Crowe can afford to work on projects that really speak to him. He doesn't need to go for every offer that comes his way — he can be quite picky if he wants to. If that means making only one or two movies each year, well, good for him. This is probably a major reason that he simply isn't acting as much these days. He has already spoken quite openly about the fact that he wants to spend more time with his family back home in Australia, and that probably means only taking on the roles that he truly wants. 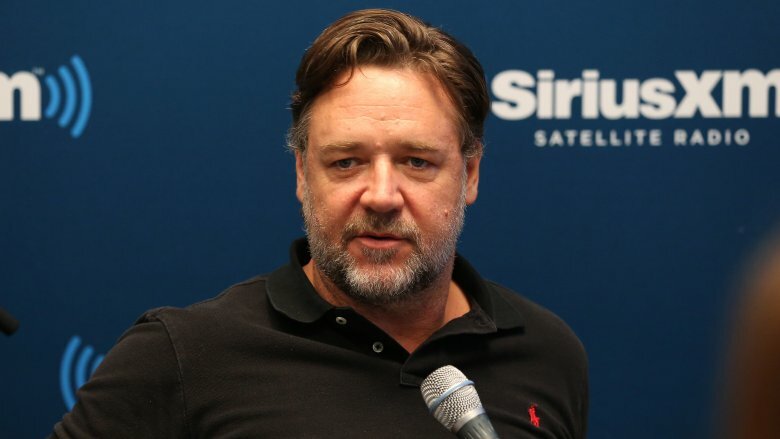 Gladiator was undoubtedly Crowe's breakout film — it made him a huge star in the United States. But as it turns out, his behavior on set didn't exactly leave the cast and crew with a great impression. Years after the film came out, one of the producers revealed some unflattering details about Crowe's behavior on set. Producer Branko Lustig's claims about Crowe's unsavory conduct were included in Nicole LaPorte's book The Men Who Would Be King: An Almost Epic Tale of Moguls, Movies, and a Company Called DreamWorks. Crowe allegedly threatened Lustig when he found out the rate that he was paying his assistants. Crowe felt that Lustig's idea of adequate compensation was unfair, and he let his temper get the better of him. Lustig contacted Steven Spielberg right away and said that he wanted to leave the production because of Crowe's outburst. Audiences may have loved Crowe in Gladiator, but others involved with the film certainly didn't feel the same way. According to the people Crowe has worked with, he leaves no stone unturned when he is preparing for a role. He wants to go over every detail before shooting begins — and he means every single little detail. Curtis Hanson, the director and screenwriter who worked with Crowe on L.A. 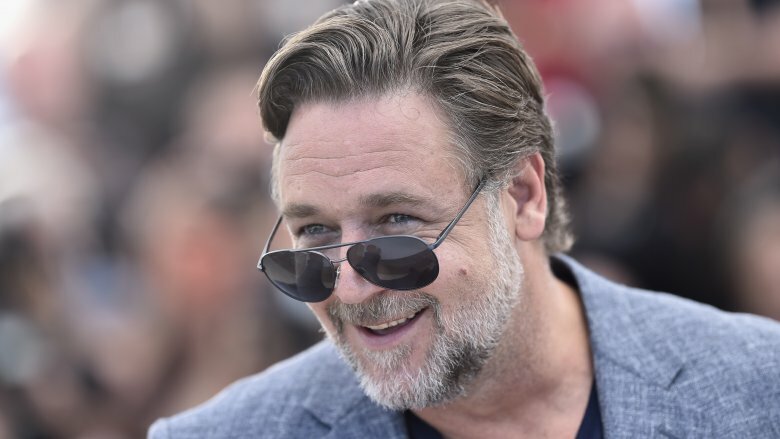 Confidential, once told Variety that Crowe was "an actor of 1,000 questions," and says that he went over every line in the script with a fine-toothed comb. He did not leave one line unread or unexamined before shooting started. 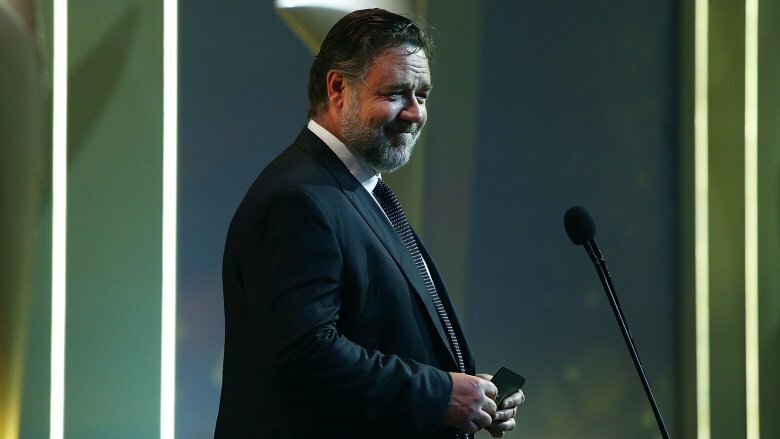 Hanson admits that it made Crowe tough to work with, but all of the questioning was worth it in the end. While some directors, like Hanson, may appreciate this kind of approach to a role, there are plenty who would simply feel annoyed or even insulted. This could be one reason why some directors might be reluctant to work with Crowe — they know that he won't necessarily accept their vision for the film at face value. Overall, it seems like Crowe is just not the easiest actor to work with. As Curtis Hanson told Variety, "Russell has a reputation of being difficult." When you look back at all of the scandals he has gotten himself into, his methods for getting himself ready for a role, the way he has allegedly treated some of the people he has worked with, and the fact that he is actively trying to spend more time Australia and less time in L.A., it all adds up to explain why he just isn't landing as many roles. Sure, he is scaling back on purpose, but he has also tarnished his reputation over the years. Of course, that doesn't change the fact that some of Crowe's greatest roles have established a powerful legacy. And if he ever decides to stage a serious comeback, there will be plenty of people who will be happy to see him take top billing once again.